Lyon is a large prefectoral town in the Department of Rhône. 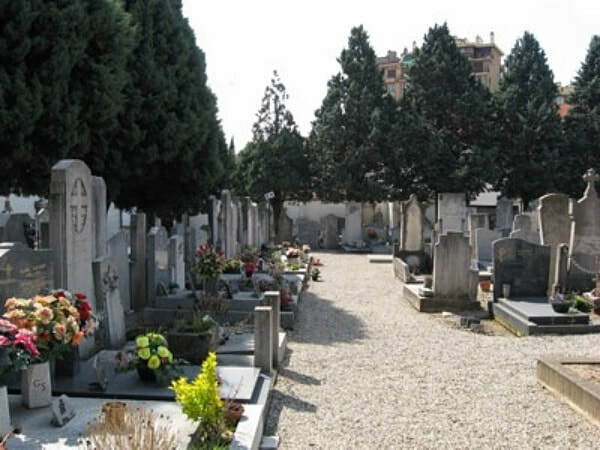 The La Guillotière district of Lyon contains two cemeteries, an old and a new, which are located a few hundred metres apart. The Old and 'Ancien Cimetiere de la Guillotiere' is located to the east of the city centre just south of the large army barracks 'Caserne Sergent Blandan'. From the Gare de Perrache railway station, cross the river Rhône by the Pont Gallieni and continue down the Avenue Berthelot in the direction of Grenoble (A43). The Old Cemetery is on the left after approximately 2 kilometres and can be reached via the left hand turn into the Boulevard des Tchecoslovaques. The main cemetery entrance is 200 metres on the left down this road. 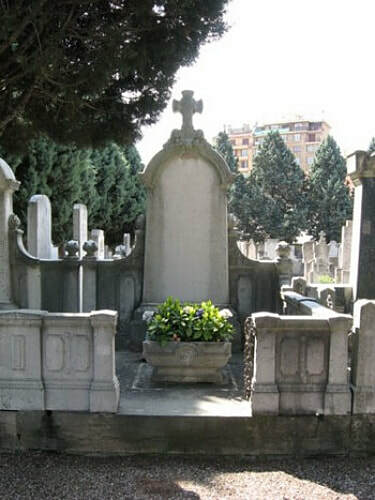 ​Captain G S Barrow is buried in the Sejalon family tomb, which is located in Carre (Plot) 6, Allee (Row) 10, in the former 'Deuxieme Cimitiere' to the rear of the cemetery. 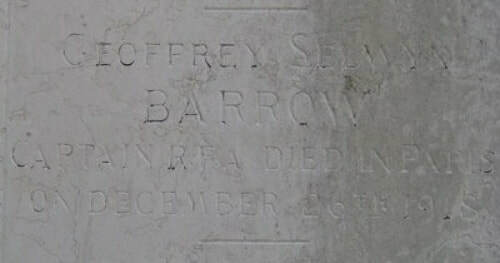 Captain Geoffrey Selwyn Barrow, O. B. E. Royal Field Artillery attached to 8th Division, Army Cyclist Corps, died 26th December 1918, aged 27. Son of Gen. Sir Edmund George Barrow, G.C.B., G.C.S.I., and Lady Barrow, of Dublin; husband of M. Clothilde Sejalon Barrow.